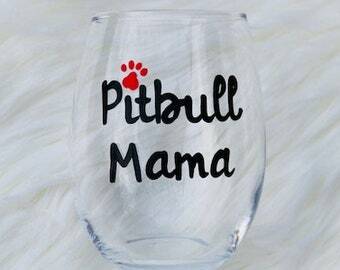 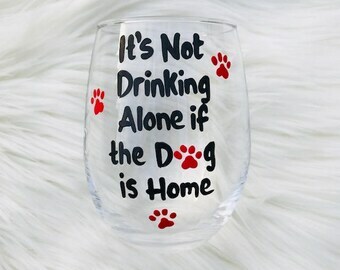 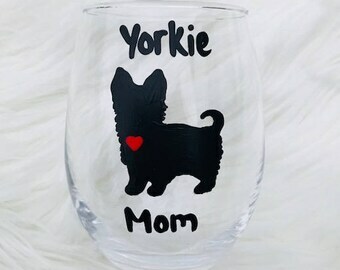 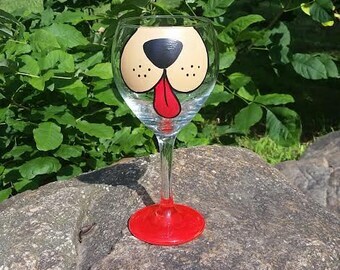 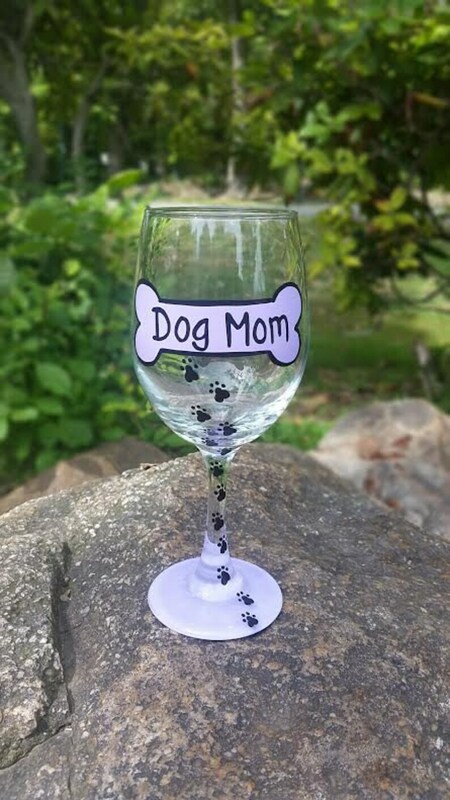 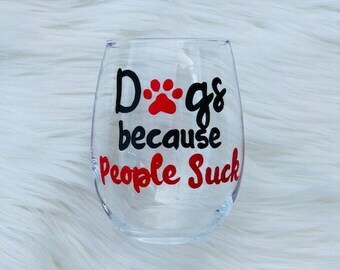 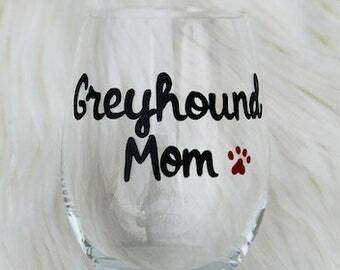 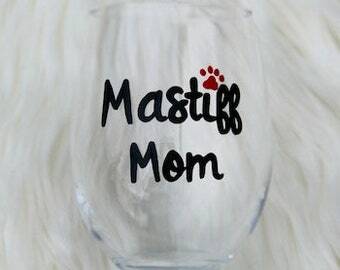 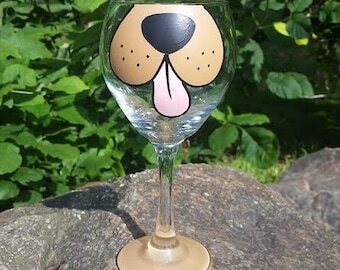 Dog Mom Dog Dad handpainted wine glass for pet lovers! 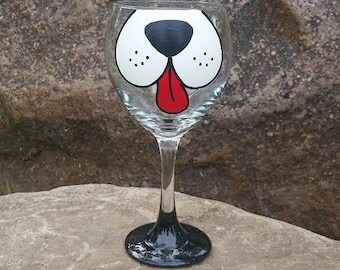 Also available on stemless wine glasses or pint glasses (see listings in my shop). 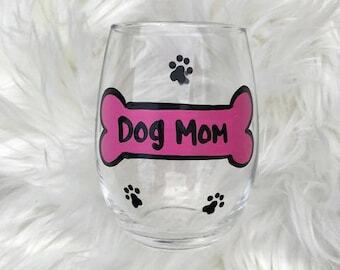 Dog bone available in the color of your choice. 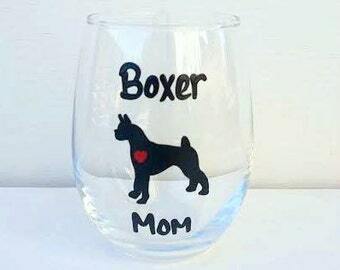 Choose from the drop down menu when completing your purchase. 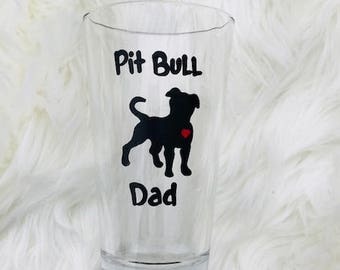 yes this item shipped on time and arrived on time . 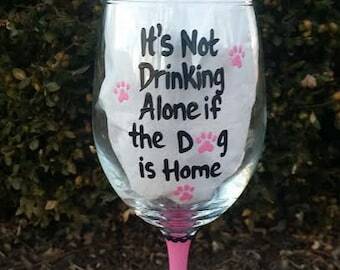 It was also packed very well and did not crack or break..